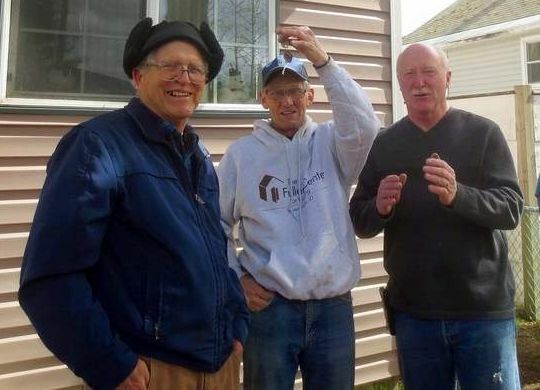 Photo: Verne Blalack (left) and Rick Gilbert (right) present the keys of the newly remodeled home to John “Boy” Delaney. The Silver Valley Fuller Center for Housing recently dedicated its 20th completed home — a once-vacant property that was turned into a like-new home in Osburn, Idaho, in partnership with its new owner, John Delaney. The Shoshone News Press has complete coverage of the dedication ceremony at the link below.